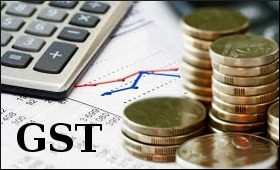 Finance Minister Arun Jaitley on Monday said GST introduction will increase the assessee base in the first twenty-one months of its implementation by almost eighty percent. "No taxes have been increased. In fact, after 67 years of increase, tax rates have moved downwards. In a bold step, spread over five years, the income up to Rs 5 lakh has been exempt from income-tax. Even deductions available to the taxpayers have been raised to encourage and incentivise savings," Jaitley said. The number of assesses filing returns with reduced tax rates in income-tax has risen close to double in the five year period, he said. The GST will increase the assessee base in the first twenty-one months of its implementation by almost eighty percent, he added. Jaitley highlighted many steps that the present government has taken in taxation reforms, to curb black money, enactment of Insolvency and Bankruptcy Code, demonetisation, steps to check inflation, promoting cooperative federalism, Ayushman Bharat scheme, social sector investment and infrastructure development. These, he said, were game-changing decisions.